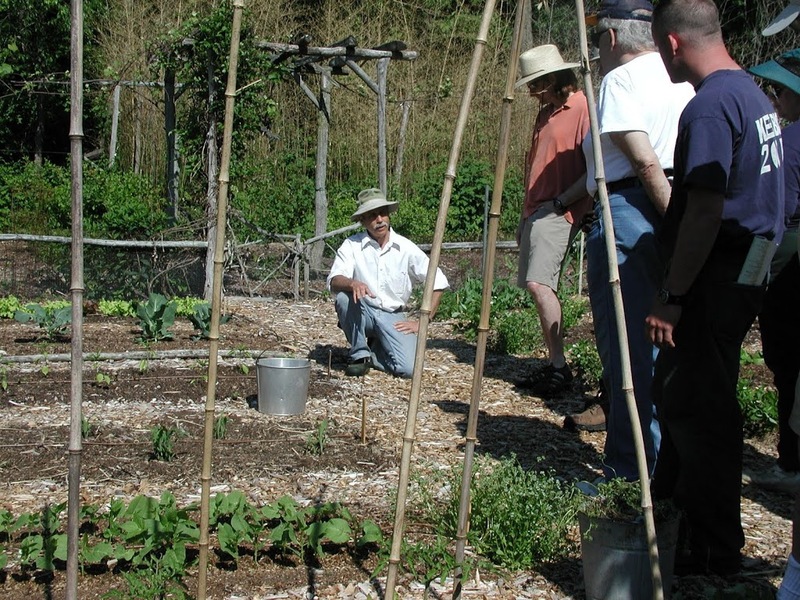 PRUNING WORKSHOP, April 3rd, at my garden!! Contact me thru my website for more details. Summer cole slaws, steaming plates of broccoli, and kale cooked and drizzled with some olive oil, lemon juice, and toasted sesame seeds are now on their way. Seeds are sown, sprouts should be up within a few days, and a few days after that I’ll lift enough sprouts from their mini-furrows in a seed flat to fill a 40 cell tray. By May 1st, the seedlings will be big enough and will be planted out in the garden. An early start is important with most of these plants in the cabbage family, the so-called cole crops, or crucifers. (“Crucifer” because everyone in the family bears 4-petalled, cross – “cruc” – shaped flowers.) These are plants that thrive in and taste best with cool, moist weather. The one exception is kale, which to me has a rich, sweetish, nourishing flavor even in the heat of summer. I see some still out in the garden now that the snow is receding, and will harvest it the first chance I can get through the garden gate, which, as I write, is still locked close with snow. The cabbages and broccolis I just sowed are for early summer; the kale for spring, summer, fall, and, as long as I can get to it, winter. Fortunately, I grow backup kale, a dozen plants that enjoy the cool temperatures of the greenhouse all winter long. Kale for this year is Dwarf Blue Scotch and Winterbor. For cabbage, I’m growing the tasty, small and pointy-headed, heirloom variety Early Jersey Wakefield. With broccoli, I’m hedging my bets. I bought a packet of mixed seed, including varieties with different harvest times, some notable for making large main head, and some notable for prolific side shoots. 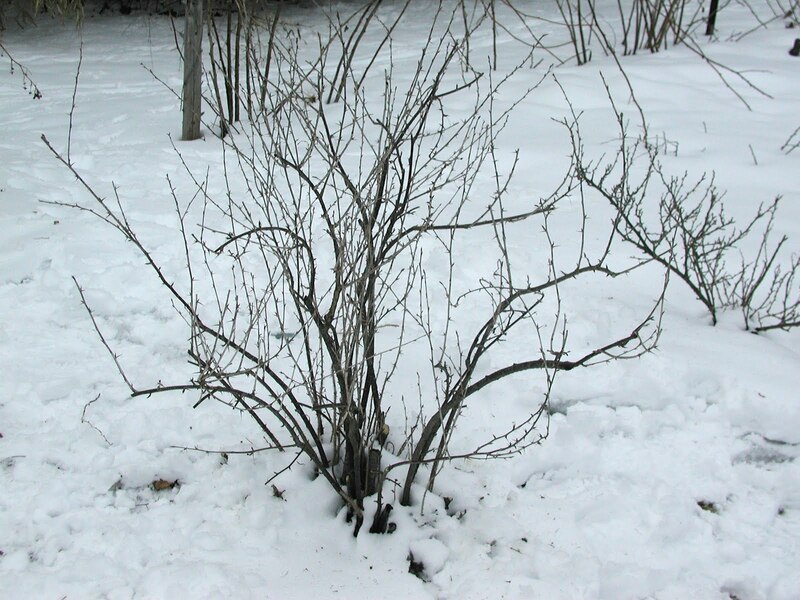 Receding snow makes it easier to get to some low bushes and see what to prune. 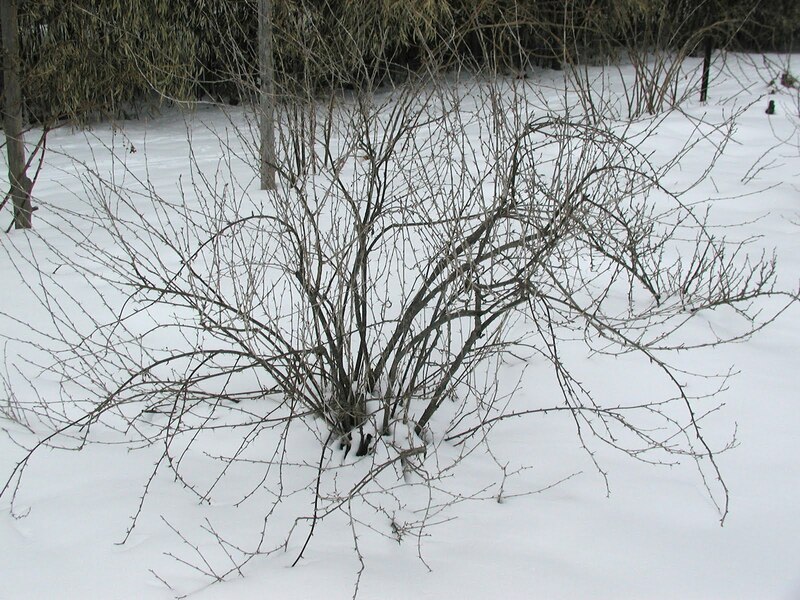 Like my currant and gooseberry bushes, which will be the first to get pruned. The reason they are first in line is because they are the first to begin growing. A few days of warm weather and their buds will all of a sudden turn green with nascent leaves about to unfold. I prune most of these plants by a renewal method. Being shrubs, they’re always sending new sprouts, called suckers, up from ground level. Old stems do not stay virile very long, typically not bearing well after about 3 years. With renewal pruning, all stems more than 3 years old get lopped back to ground level or to low-growing vigorous, upright side branches. The stems that are the oldest are obvious because they are fattest and have the peelingest bark. Next, I turn to the suckers. Each year, these bushes typically send up a lot of new suckers from ground level, too many, so many that they would crowd each other with age. So the other pruning needed is to reduce the number of new suckers to a half-dozen or so, saving those that are most vigorous, healthy, and upright. Finally, I shorten lanky stems that would otherwise droop to the ground, especially when loaded with a crop of berries. What’s left after pruning, then, are a half-dozen new suckers, a half-dozen 1-year-old stems left from last year, a half-dozen 2-year-old stems form the year before last, and a half-dozen 3-year-old stems from the year before that. That’s about how the bush looks every year after being pruned, in theory, at least. Nothing’s too old and the young ‘uns have room to grow. Pruning gooseberries is a thorny affair that demands use of leather gloves. Most people on this side of the Atlantic (excepting Canada) don’t really know gooseberries. If they’ve experienced the fruit, they consider them all to be small, green, and tart, which, unfortunately, those most commonly offered are. In fact, gooseberries come in a wide spectrum of flavors, colors, and size. For starters, and most importantly, gooseberries can be divided into culinary and dessert varieties. Many dessert varieties can be used for cooking, for which use they’re harvested slightly underripe. Dessert varieties have a sweet or sweet-tart flavor. My Hinnonmakis Yellow berries are small, yellow, and sweetly reminiscent of apricot. Black Satin gooseberries are wine-red in color with a flavor much like a sweet, rich wine. Colossal, which I’ll be planting again after a 15 year hiatus, has humongous fruits with a cracking texture: the skin is firm but explodes into your mouth with an ambrosial, sweet juice when you bite into it. Generally, gooseberries are tough plants that are easy to grow. They’ll tolerate any amount of cold and deer leave them alone. I’m looking forward to enjoying fruits of the dozen varieties I grow in July.